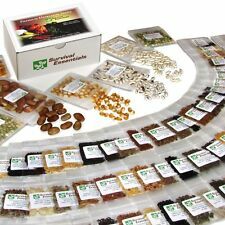 We sell a wide range of Heirloom Seeds, Survival Seed Banks, and Survival Seed Vaults. All of our seeds are Non GMO , Non Hybrid , Open Pollinated Heirloom Seeds. Heirloom Tomatoes, Heirloom Peppers, Heirloom Corn, Heirloom Peas, Heirloom Beans, Heirloom Herbs, and many more! Same Day Shipping!